The music of Truegrass and Sugar Run will be featured during New River Community College’s Fiddle, Banjo and Dance Club Jamboree on Saturday, February 9. Music will begin at 6 p.m. in 117 Edwards Hall at NRCC in Dublin. Truegrass is a bluegrass band that formed in early 2004. 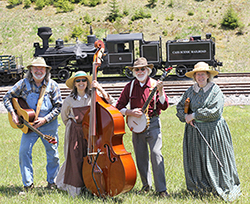 They perform traditional bluegrass music that ranges from hard-driving and energetic to slow ballads and gospel tunes. The band has performed throughout southwest Virginia as well as east Tennessee, North Carolina and Maryland. They have released bluegrass and bluegrass gospel CDs. 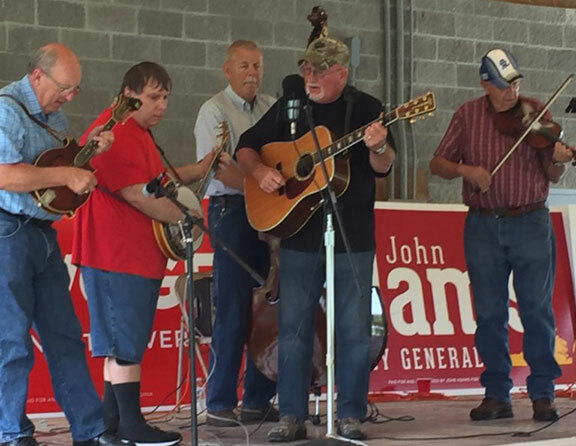 The band's current members are Donny Pratter, guitar and vocals; Jack Wells, mandolin and vocals; Wayne Thomas, banjo and vocals; Dewey Long, fiddle; and Brian Dunford, bass and vocals. group includes Mike Johnson, banjo, guitar, mandolin, dobro and vocals; Bonnie Johnson, bass, fiddle and vocals; Geoff White, fiddle, guitar, mandolin and vocals; Rachel Johnson, fiddle; and Stanley Asbury, guitar and vocals. Doors open at 5 p.m. for the show. Admission is free; however, donations will be accepted to help offset the travel expenses for the musicians. The jamborees are held the second Saturday of each month through April at NRCC, a Crooked Road affiliated venue. More information about the NRCC Fiddle, Banjo and Dance Club is available from Tim Jones at (540) 674-3625, and online at www.nr.edu/fiddle.